With every passing day, millions of aspirants come up with their unique startup idea and dream of becoming a successful entrepreneur. But, due to the lack of experience and knowledge, they fail to establish a strong foundation of their business. Moreover, planning and making strategies are easy, but executing the same plan is very far from reality. No more fear of failure and hardship, as Amazon has introduced a certificate course (ATES) exclusively for budding entrepreneurs, who aspire to start an online eCommerce business. Starting an online business was never been so easy, but with the help of IIEC & BII Institute of eCommerce, Amazon has made it possible. It is undoubtedly a golden opportunity for aspirants, which would definitely make every step an easy cake walk for aspiring entrepreneurs. 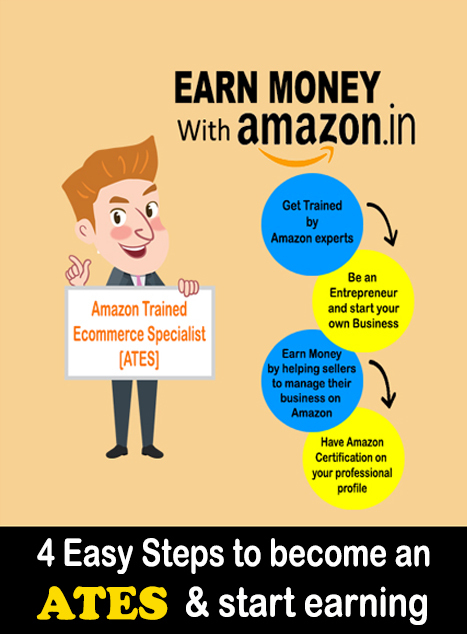 Amazon Trained E-commerce Specialist (ATES) is a certificate course introduced by Amazon exclusively for budding entrepreneurs, and sellers. This entrepreneurship program is a new concept and the first of its kind, which is of 16-hour duration covered in 2 days by its offline training partners Indian Institute of E-commerce operating across India. Best part!! You don’t need any specific eligibility to do ATES certification course. Whether you are a College Student, job seeker, housewife, existing business owner or online seller, you can pursue ATES course, as there no specific eligibility to pursue this course. There is no entry barrier for aspirants to become an ATES. However, it requires a basic level of proficiency to use the computer. So budding aspirants, what are you waiting for? What is holding you back? Grab this golden opportunity to become an entrepreneur without any investment. 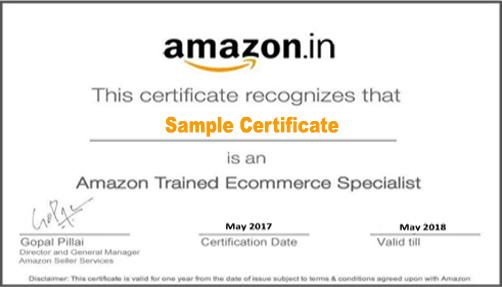 Enroll yourself in Amazon Trained E-commerce Specialist certificate course by registering with BII Institute of eCommerce and kick-start your business in no time.